Home » KUP » APAKAH SEBAIKNYA IKUT AMNESTY PAJAK ? 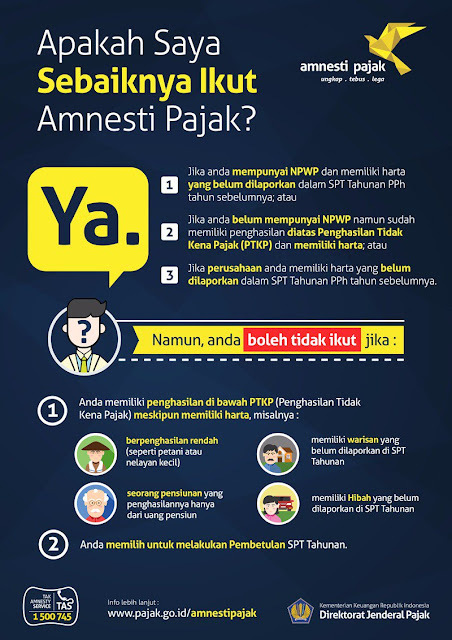 APAKAH SEBAIKNYA IKUT AMNESTY PAJAK ? Title: APAKAH SEBAIKNYA IKUT AMNESTY PAJAK ?